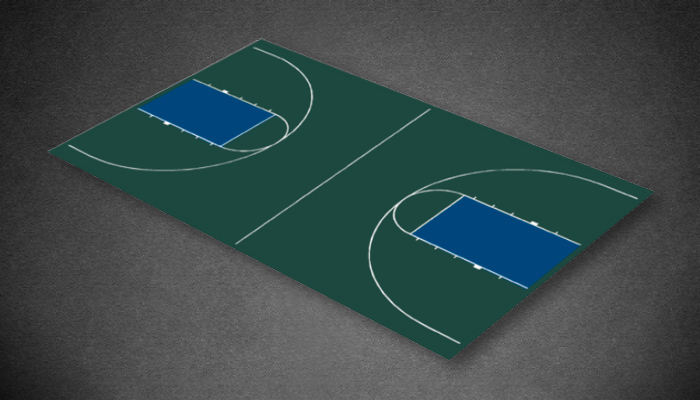 A slightly smaller version of our 51' x 84' regulation high school court kit, this surface features colored lanes, 3-point arcs with 180° coverage and other relevant lines. 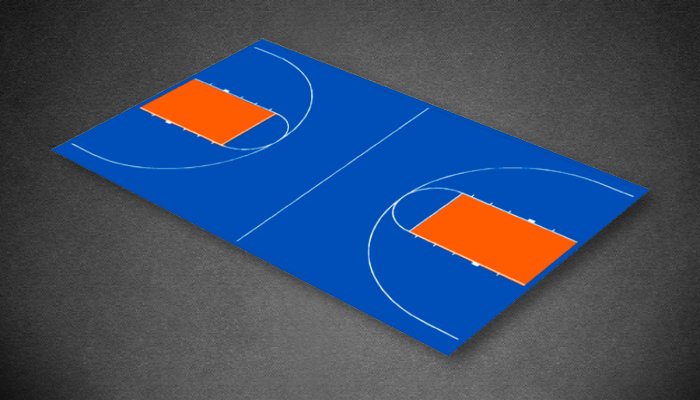 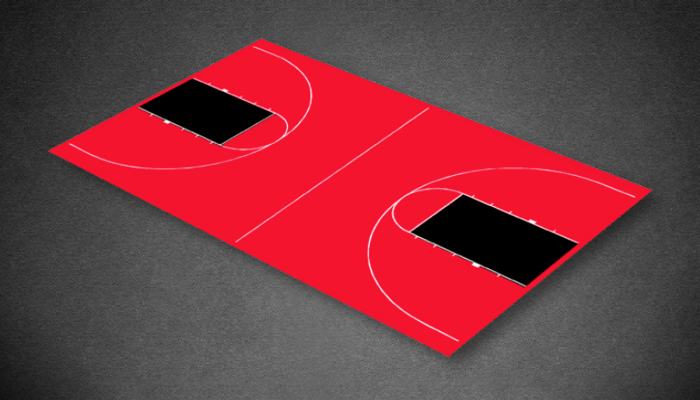 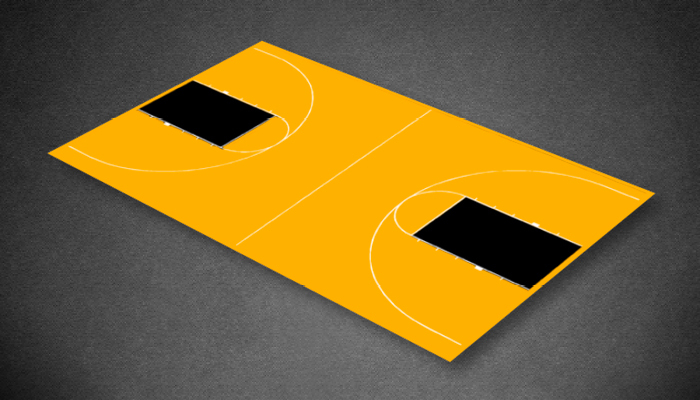 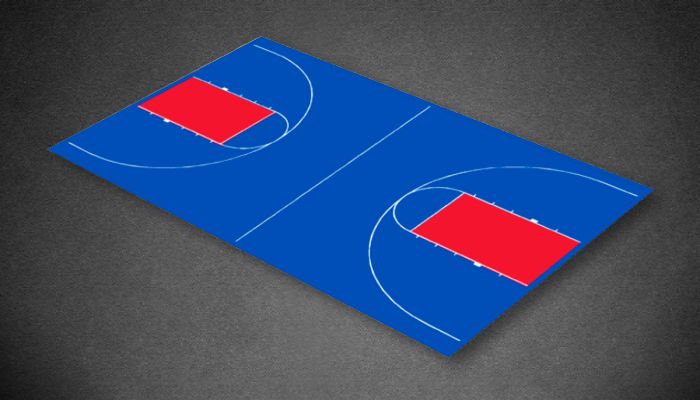 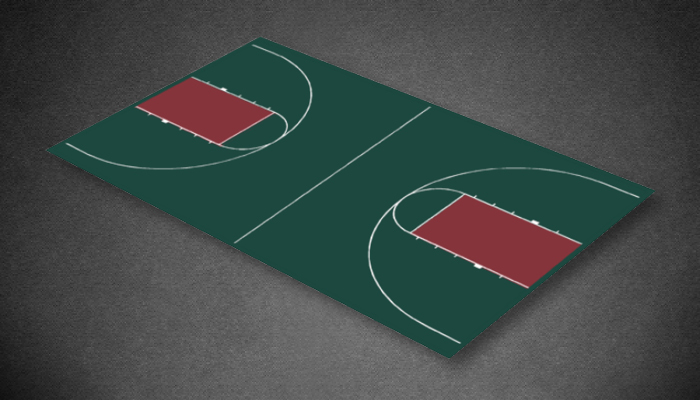 The 44’ x 75’ Full Court kit is available in 7 color combinations as shown below. 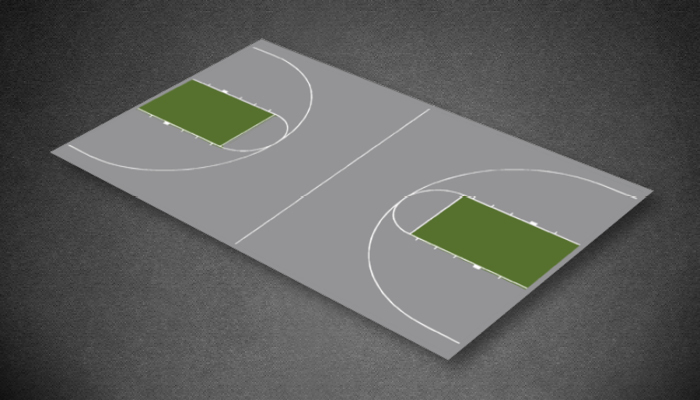 44' 3" x 75' 6"
44' 5" x 75' 8"